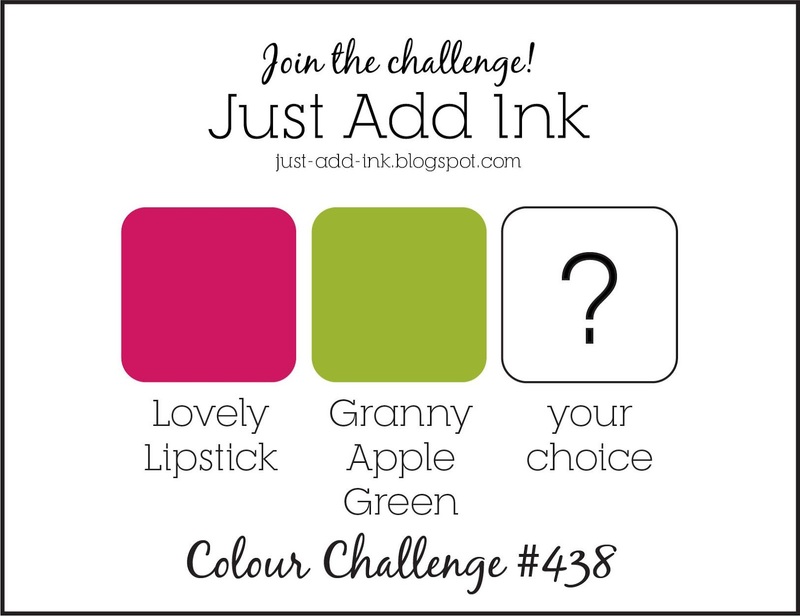 My Sandbox: Just Add Ink #438...Colour! 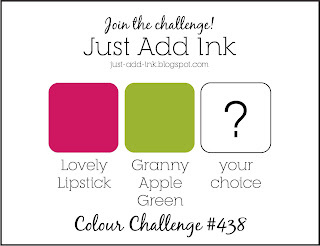 It's challenge time once again over at Just Add Ink and this week you get to choose! 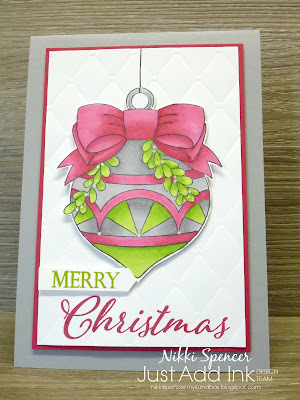 We have provided two happy colours and you get to choose a third! 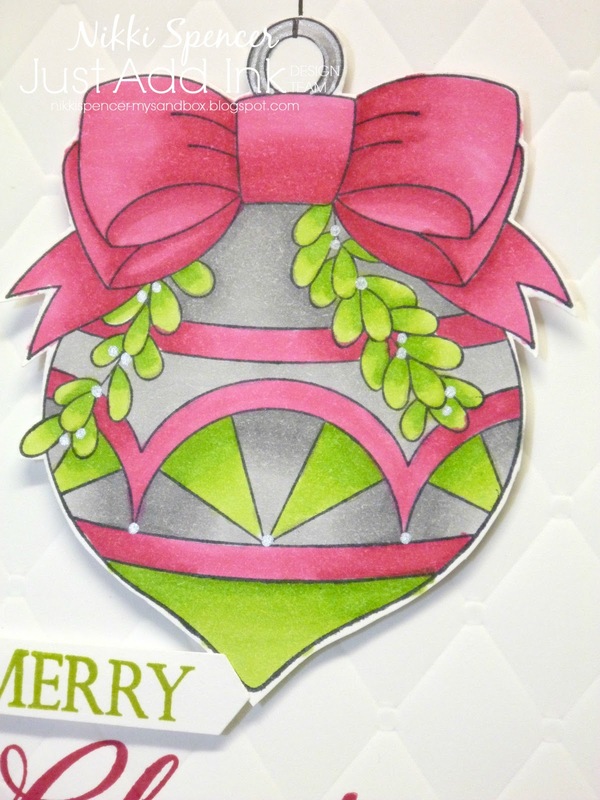 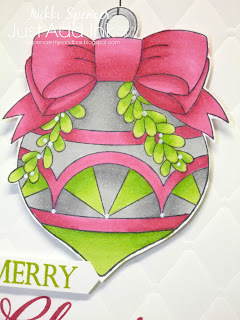 I've teamed up the challenge colours of Lovely Lipstick & Granny Apple Green with Smoky Slate and coloured the huge bauble image from the "Great Joy" stamp set with Stampin Blends. 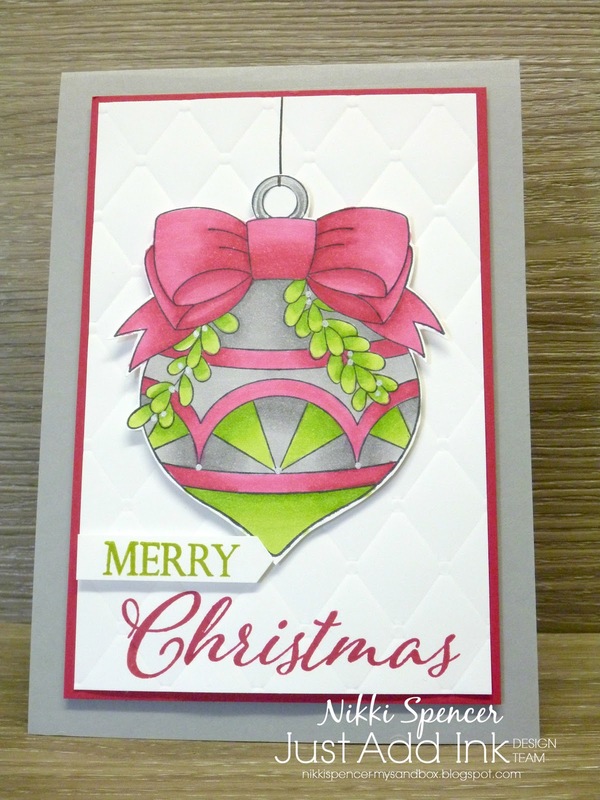 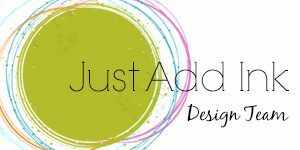 The rest of the design team have created projects with some great colour combinations, so make sure you pop over to the challenge blog and check them out.